Please join in the celebration of Gorges State Park’s 20th year! 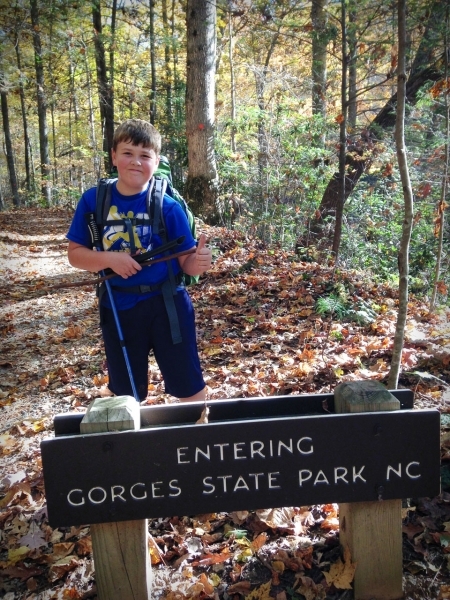 In April 1999, Duke Energy sold around 10,000 acres of land to the State of North Carolina to form Gorges State Park and the Toxaway Game Land. On Saturday, April 27 at 10 AM, Marcy Thompson, History Librarian of the Transylvania County Library, will speak about the use of these 10,000 acres before the Park and Game Land were created. The Cherokee used the land for hunting, the Singer Sewing Machine Company once harvested timber to build sewing machine cabinets, and moonshiners used the privacy to make their product. Steve Pagano, the first Superintendent of Gorges State Park and now retired, will speak at 11 AM about the evolution of the Park over those 20 years. We’ll celebrate with birthday cake and beverages after his talk, and to help work off those calories, Steve will lead an easy hike to answer more questions.